Productivity Hacks for All Aspects of Your Entrepreneurial Journey - iSmallBusiness.com - Small Business Stuff That Matters...Pass It On! Starting a business takes a lot of power, but there’s only one of you. Maximize your productivity with these convenient apps, websites, and tips. Ironically, Forest is a free smartphone and computer application built to discourage you from using your smartphone or computer. 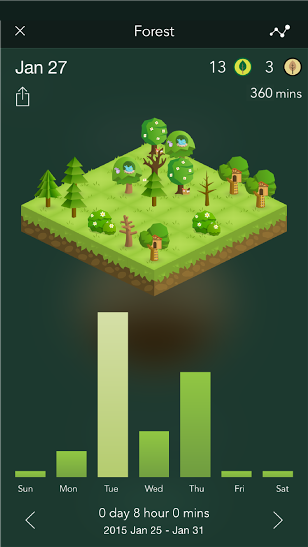 This app works like a timer, spurring the growth of a tiny virtual tree when you start it up. As you stay away from your device or your browser, the tree grows; but if you hop on the Internet or begin texting a friend, the tree starts to wither and die. The goal, of course, is to encourage productivity and keep you from procrastinating online. Your reward for completing distraction-free work is a little virtual forest, its size dependent on how long you spend away from your device. Save distracting articles, videos, and more for later with Pocket. No matter which device you’re using, Pocket allows you to stow away material for another time and then retrieve it to take a look at later on (with the added bonus of not requiring an Internet connection). Finally you can rest assured that that hilarious cat video will be there for you when you aren’t so busy. Google knows you use multiple devices throughout your day. Its various Chrome, iOS, and Android applications sync seamlessly over the Internet so you can access your calendar, documents, presentations, spreadsheets, and other materials anywhere. By utilizing Google applications over those on your desktop, you’ll never have to worry about forgetting your finance information at home or losing your polished business plan during a computer crash. Apps like Google Docs let multiple Google users view and edit a document at one time, maximizing collaboration no matter how far you are from partners and employees. All you need is a free Google account. 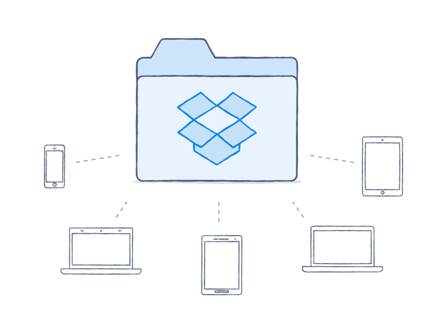 Dropbox is a cloud-based file storage system you can use to save your own virtual folders or share documents with others. Like Google’s various applications, this program allows you to access your saved files anywhere you can log in to your Dropbox account. With Dropbox you can rest easy knowing your documents are easily recovered, smoothly integrated with Microsoft Office 365, and securely encrypted in an online database. Not everyone has the luxury of getting to work in a cozy café with a hot latte in hand. For those who need a little comforting background noise to get to work, Coffitivity comes to the rescue. Listen to three different coffee shop tracks – Morning Murmur, Lunchtime Lounge, and University Undertones – and have the option of overlaying your choice of music with Coffitivity’s free edition, or purchase a year of premium access for $9 to listen to Paris Paradise, Brazil Bistro, and Texas Teahouse. Coffitivity’s central concept is backed by research by the University of Chicago, who confirmed that a bit of ambient background noise is “conducive to creative cognition.” Now you can work in the quiet jazz café you’ve always wanted. Experimental functions have recently become available to Gmail users from Gmail Labs, which releases bonus features for ordinary users to test and review. One of the most popular features of all is Gmail’s “auto-advance,” which allows users to progress directly to the next article in their inbox after archiving or deleting the first. According to those who use and love the auto-advance function, this feature forces you to organize and declutter your inbox so that important conversations are easier to find later on. Users have the option to progress to newer or older messages in Gmail settings. Some people just need to plan things visually. MindMeister is the perfect creative mind-mapping tool, allowing users to create colorful graphs, plots, and other illustrations to perfectly demonstrate their ideas. 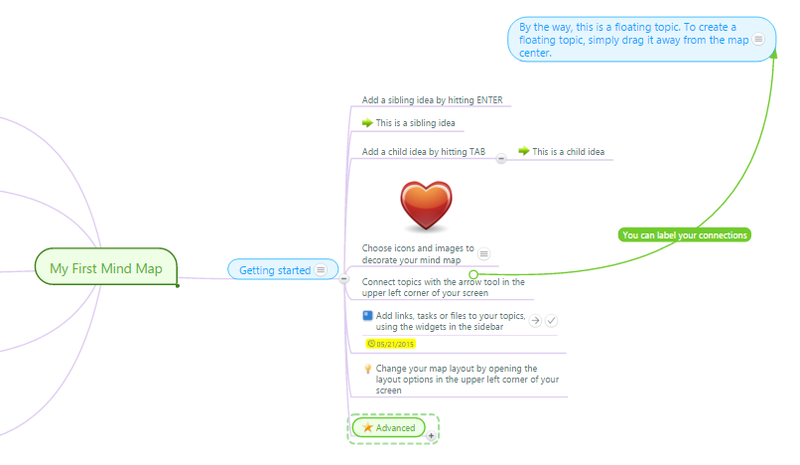 With MindMeister there are no downloads necessary, and the program is free whether you connect with your Google account or become a brand-new user. MeisterLabs also offers a free integrative task organization program, MeisterTask, which connects with cloud storage to make time management among teams a breeze. Some business owners view entrepreneurial journaling as a frivolous waste of time. Others, however, want to showcase their progress to friends and family, track their company’s development for their own personal use, or even write a blog about the entrepreneurial process later on. Day One, an Apple-exclusive application, elegantly pieces together photos, text entries, maps and more to create clean, easy-to-read virtual journals. Each entry is backed up to the iCloud or Dropbox, and users can turn on and off customizable notifications that remind you to write in on a daily basis. Day One even tracks “context data” such as outdoor temperature, step count, and music played to enhance the journaling experience. Never scramble to remember your password for anything again with Roboform. A free, downloadable program for any operating system, Roboform remembers your passwords for all your Web accounts, generates clever passwords for new ones, and syncs stored information across your devices. Roboform also auto-fills Web forms of your choosing, such as name and address forms, credit card forms, and more, so you don’t have to waste time typing out repetitive information. Open and close the workday. The bulk of your workday will operate much more smoothly if you allow it a proper introduction and conclusion. At the beginning of the day, take a look at your agenda or to-do list. Which tasks need to be finished first, and which ones can wait? Who will you be collaborating with today, or who do you need to contact? This type of introduction will ease you into the “work” part of the workday, while a conclusion will prevent you from stewing about work once it’s over. At the end of the day, review what you’ve accomplished and what skills you’ve built upon. You can even set a goal for the following day if you’re looking forward to your next session. Routines make you feel more in control of the workday because you know exactly what to expect. Whether it’s checking emails, grabbing a cup of coffee, discussing the day’s projects with your business partner and then getting to work or another way around, find a routine that’s comfortable for you, then stick to it. You’ll find that knowing the next step in your day relieves stress and maximizes productivity. Every now and then, however, treat yourself to a break in the routine to avoid burnout. A tip provided by many successful business owners, delegation is the key to getting rid of busywork and focusing on what matters. When you encounter a list of simple yet tedious tasks, see if you can delegate those tasks to someone else, whether it’s an employee or an outside independent contractor. You shouldn’t be spending a big chunk of your workday answering repetitive phone calls or binding nice copies of your business plan if someone else can do it for you. If you can’t afford to assign someone else the busywork, try splitting it evenly with your business partners (if you have them). You’ll soon realize you suddenly have more time and energy to focus on what truly matters. This is another way to put yourself in control of the workday. Instead of thinking in the passive voice (i.e. “My team is hosting a mandatory meeting today”), think in the active voice (i.e. “I am attending a mandatory team meeting today”). Put yourself in charge by thinking, “I’m going to finish this project by the end of the week” instead of “This project is due by the end of the week.” Though it may take a bit of time, this mental habit makes you feel that you control the environment and tasks around you, not vice-versa. It also holds you accountable for your actions by making you feel like you are already a part of them. Get rid of pointless meetings. Many companies hold weekly or even daily meetings just for the sake of “connecting” and “touching base.” Those are nice intentions, but in reality, most meeting attendees spend a majority of the time on their phones or laptops, responding to emails or checking the news. Unless there’s a solid reason for collecting partners and employees in one place (deciding roles for a project, for example), try communicating via email or workplace instant messaging, like Slack, so participants can respond when it’s convenient for them. The extra couple of hours per week will result in higher productivity across the board – and make those meetings that do stick around much more involved. Working on a project during a lengthy phone call may seem like a highly productive move at the time, but when you look back on the project later, is it well done? Multi-tasking can be tempting – particularly in this day and age, when we have multiple electronic devices demanding our attention at once – but it’s been proven time and time again that assignments completed while multi-tasking are often poorly done. Further, some scholars claim that those who work on tasks one-by-one tend to take less time than multi-taskers at finishing the job, which increases their productivity without the use of stressful multi-tasking. Experts recommend that business owners and employees alike focus on one project at a time to maximize efficiency, quality, and comfort on the job.